The san looks cute and I just like the blood ond her hands and that huge fullmoon XD! The composition, mood, and colors work well...but the scan, particularly her blood-covered hand, looks rather pixelated. 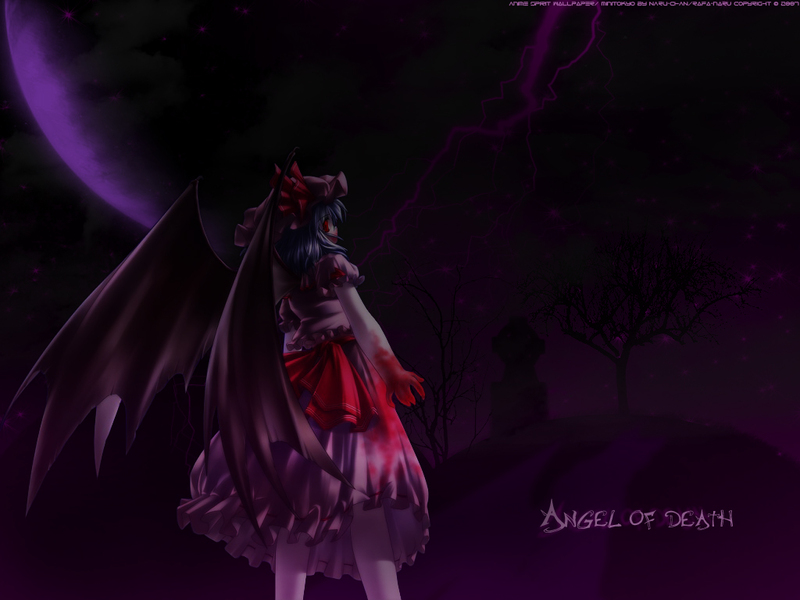 The character is Remilia Scarlet from the Touhou game series. Overall a great scan, my only gripe with it would be Remilias right hand it looks deformed. Remilia Scarlet take my heart please?